Instagram offers great possibilities for very different businesses. Key to success is a clear strategy including the correct KPIs to measure the success of campaigns. After that, campaigns can be adjusted and marketers can focus on what worked best. As an overview on how to measure Instagram performance, I decided to write an in-depth article on Instagram Analytics, reflecting on what we’ve learned at quintly in the last years. This article will show you how to set up a successful Instagram strategy. 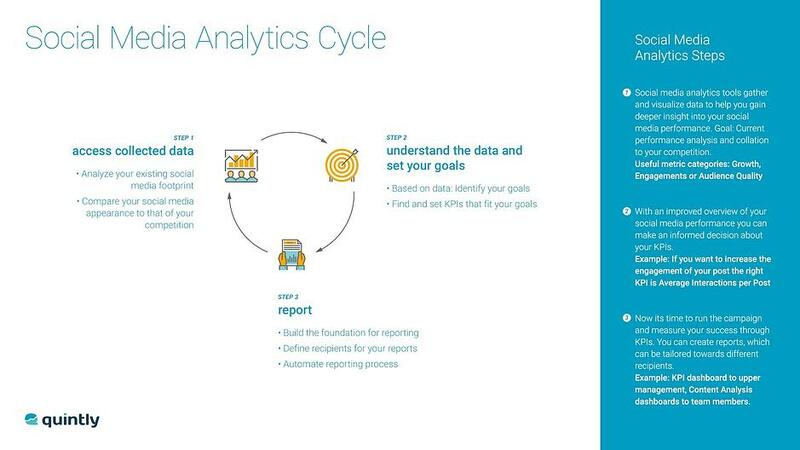 Therefore we will cover our proven social media analytics cycle as a framework. 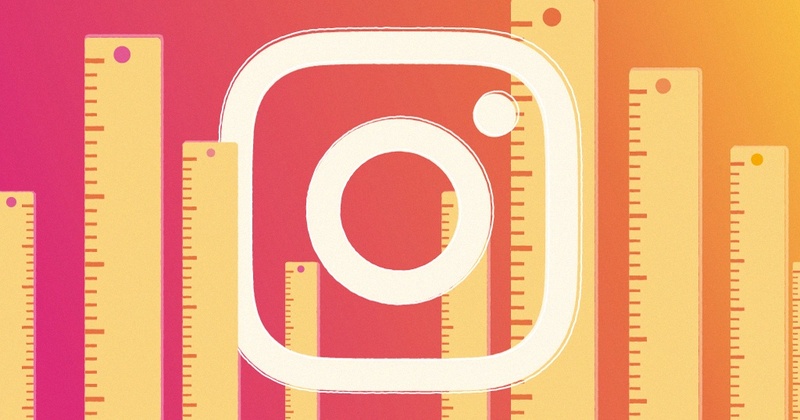 Further, we will discuss five Instagram metrics that build a great cornerstone for the best measurement possible. After that, we will also cover how to set up an Instagram report. The most creative ideas or the best social media report are unfortunately unrewarding if not set up in a meaningful environment or process. Combining theory and practice we developed the social media analytics cycle that can be used as a framework for a successful strategy. Here you can read the full article but I will quickly summarize the main points in the following paragraph. First, you are supposed to analyze your existing social media footprint and ideally compare to your competition. You can either use the network’s default analytics and transfer the numbers to an Excel sheet, or more conveniently and cost-effectively, a social media analytics tool. Afterwards you need to understand the data. This may sound self explanatory, but many companies spend too little time in understanding the collected data. With this as a basis, you can take a closer look at metrics as potential new KPIs. The last step of the cycle - “cycle” because this process needs to be repeated and adjusted on a continuous basis - is setting up a report. If you need more information on social media reporting have a look at our dedicated article. But now, let’s jump into the analysis. I personally like to start the analysis with general metrics, providing a bird’s eye view. This isn’t necessary if the analysis or report will be send to your team. If not only internal parties are reading your analysis, basic metrics ensure an easy start. To understand the situation between the analyzed profiles, I like to start with the easiest metrics of all. The first two metrics to start the Instagram analysis are Followers Total and the Followers Change Rate. The two profiles we analyze here are the airlines Eurowings and Ryanair in December 2017. Through these metrics, we see that Ryanair has 60k followers more and was able to gain more followers in the analyzed period (December 2017). At this point of the analysis, we do not delve more in the given numbers but rather see it as a starting point. In this post we discussed more of follower metrics. 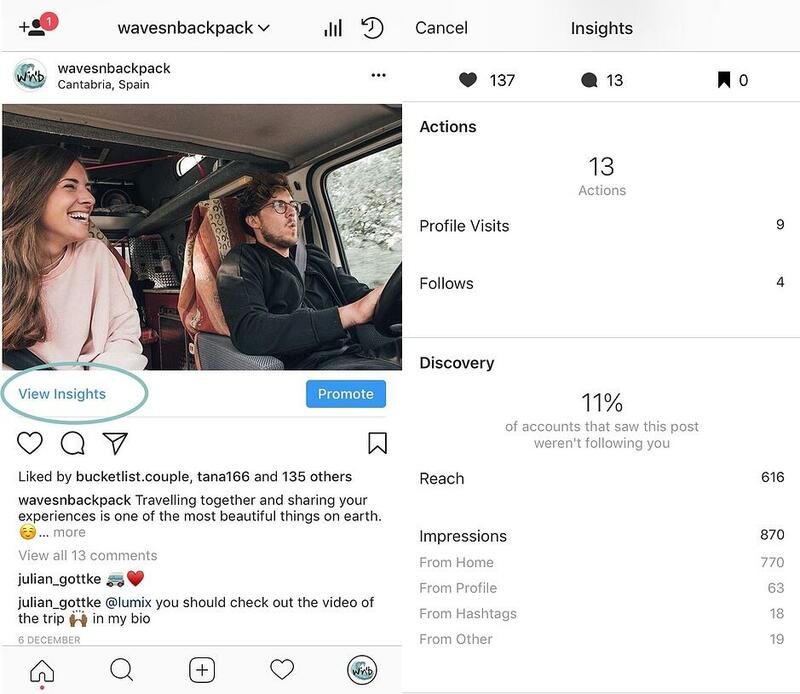 Recommended Action: Eurowings needs to communicate a clear benefit to follow their Instagram account in order to increase the followers and consequently reach more people. After looking into followers data, the next logical step is to analyze how many of the reached people interacted with your post. Therefore we take a look at the average interactions per post. The metric shows achieved interactions of the analyzed profiles in the analyzed period. We clearly see that Ryanair was able to achieve more interactions than Eurowings. Partially, Eurowings also received slightly more interactions than their competitor. Taking the significantly lower amount followers and thus a lower potential reach into account, a great achievement for the German airline. Recommended Action: Eurowings should now take a closer look at their posting on December 5 and consider posting more of similar content to ramp up the amount of interactions. As interactions are, in contrast to reach and impressions, public data, we can not only analyze for the own profiles but as well for competitors or benchmarks. Now, that we have discussed followers and interactions, we should have a quick look at the dependencies on receiving interactions. Of course, your content needs to be great but as we all know it’s also crucial when to post exactly. In this post we took a closer look on how to find the ideal time to post but the quick answer basically is this metric. The blue bubbles visualize the time when content has been published, the grey ones the interactions received. Consequently it would make more sense posting more where the grey bubbles are bigger. This is most likely the most data-driven answer to the question “When to post on social media”. Always keep in mind: There are little rule of thumbs in social media marketing as all heavily depends on your community. All metrics mentioned above are based on public data. That means you are not only able to analyze your own performance but also benchmark yourself with your competition. The following two metrics are private metrics. On the contrary, that means these insights are just available for accounts you are admin of. Note: Public metrics are post-, interaction-, and follower metrics. Private metrics are reach, impressions, link clicks. By playing around with this metric, you gather a fast understanding of which posts are performing well. The little arrow beside “likes” symbolizes that the table is sorted by likes. You can also sort by comments to identify differences between likes and comments. Perhaps one post was more “likeable” and another one was better written for receiving comments. As our goal with this metric is to dive deep into analytics, I chose the Insights Post Table including reach and impressions. For this example, I needed to leave the two airlines aside as we do not have insights access for the profiles. Here I look at the Instagram profile of a travel and surf blog to have an interesting example. Now that we identified posts that received a high amount of interactions, we want to dig deeper into the Instagram analysis - on a post level. 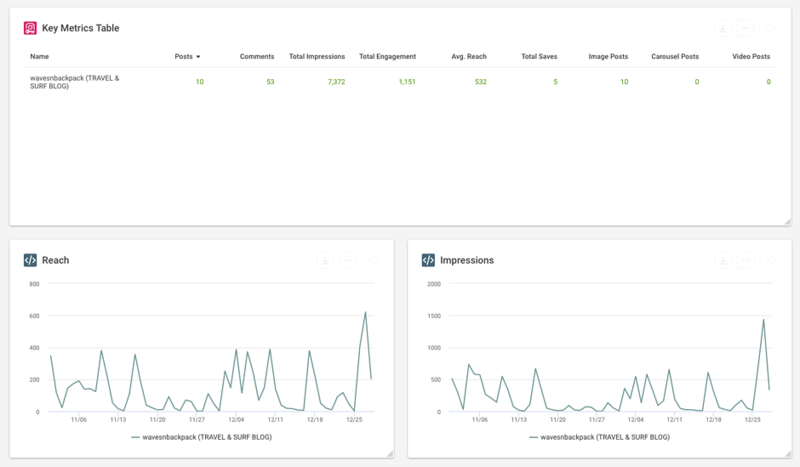 A great starting point is to analyze the Reach per post and Impressions side by side with a Key Metrics Table on top. These metrics offer an insight in which posts at which date achieved highest reach and impressions. This knowledge is essential in your onwards planning and crucial for a good Instagram analysis as reached people build the foundation for interactions. To receive one last insight, we need to leave the analytics tool and use Instagram’s default network analysis since the source of impressions are not accessible via API yet. Clicking on “View Insights” leads you to the overview displayed on the right hand side. How to set up an Instagram Report? In the beginning, we discussed the social media analytics cycle. The first two steps should be done by now. In the process of analyzing you understood the data which was aggregated for you. Then you decided on metrics that are important to achieve your set goals and thus you decided on a handful of most important Instagram KPIs. These KPIs need to be part of your report. Note: Always think who the recipient of your report is. You need to decide for different metrics if you are reporting to your team (in-depth reports), your boss or client (general overview / goal achievement reports). Eager to dig deeper in your brands performance? Submit your Instagram URL on our corresponding page and look forward to some interesting insights. Dashboards are a place where you bundle metrics that you consider most helpful for a certain purpose. So it makes sense to create a dashboard bundling all metrics and KPIs that are insightful for your team. Once set up, you can set up an automated report with a couple of clicks. This dashboard is then delivered on a daily/weekly/monthly basis to the chosen recipients. The key to success is a strategy. In order to build one that constantly gets better, a framework, like the above mentioned social media analytics cycle can be useful. Ask yourself the question - Do I have a constantly evolving strategy in place? If you ask these questions not just today but constantly, your Instagram Analysis will get better and better. So as the results. If you need any help while setting up your Instagram analytics or strategy, feel free to comment or reach out to us.